Buy Variegated Leafing for Sale here. Non-Precious Metal Leafing hear. These come in a variety of colors and materials. We suggest 3 clear topcoats for endurance from hands and or the elements. Sold by the Book or the Pack. Books contain 25 Leaves 5-1/2" x 5-1/2". Pack contains 20 Books or 500 Leaves. Average Coverage area for a book is 5.25 square feet. Average Coverage area for a pack is 105 square feet. 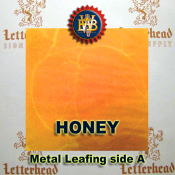 Variegated Metal Leaf-Amber LeafingBuy Variegated Metal Leaf-Amber Leafing for Sale here. 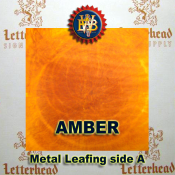 Each book of Brass Leaf contains 25 sheets of Leaves 5-1/2" ..
Variegated Metal Leaf-Amber Leafing 20 book PackBuy Variegated Metal Leaf-Amber Leafing 20 book Pack for Sale here. 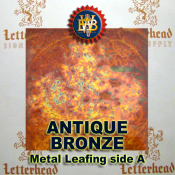 Each book of Brass Leaf contains 2..
Variegated Metal Leaf-Antique BronzeBuy Variegated Metal Leaf-Antique Bronze for Sale here. Each book of Brass Leaf contains 25 sheets of Leaves 5-1/2..
Variegated Metal Leaf-Antique Bronze 20 book PackBuy Variegated Metal Leaf-Antique Bronze 20 book Pack for Sale here. 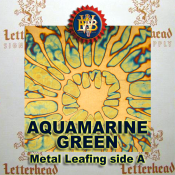 Each book of Brass Leaf contains..
Variegated Metal Leaf-Aquamarine Green 20 book PackBuy Variegated Metal Leaf-Aquamarine Green 20 book Pack for Sale here. Each book of Brass Leaf cont..
Variegated Metal Leaf-Aquamarine Green bookBuy Variegated Metal Leaf-Aquamarine Green book for Sale here. 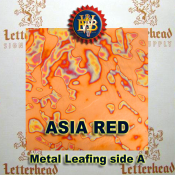 Each book of Brass Leaf contains 25 sheets o..
Variegated Metal Leaf-Asia RedBuy Variegated Metal Leaf-Asia Red for Sale here. 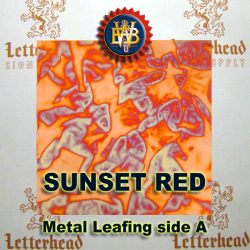 Each book of Brass Leaf contains 25 sheets of Leaves 5-1/2" x 5-1/2"Av..
Variegated Metal Leaf-Asia Red 20 book PackBuy Variegated Metal Leaf-Asia Red 20 book Pack for Sale here. 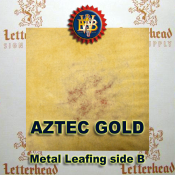 Each book of Brass Leaf contains 25 sheets o..
Variegated Metal Leaf-Aztec LeafingBuy Variegated Metal Leaf-Aztec Leafing for Sale here. 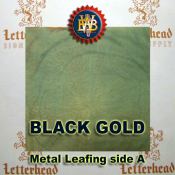 Each book of Brass Leaf contains 25 sheets of Leaves 5-1/2" ..
Variegated Metal Leaf-Aztec Leafing 20 Book PackBuy Variegated Metal Leaf-Aztec Leafing 20 Book Pack for Sale here. 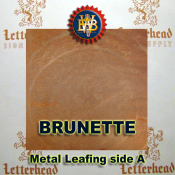 Each book of Brass Leaf contains 2..
Variegated Metal Leaf-Brunette 20 Book PackBuy Variegated Metal Leaf-Brunette 20 Book Pack for Sale here. 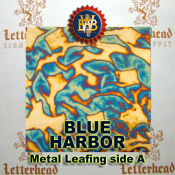 Each book of Brass Leaf contains 25 sheets o..
Variegated Metal Leaf-Brunette bookBuy Variegated Metal Leaf-Brunette book for Sale here. 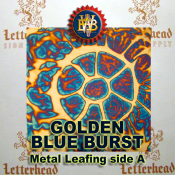 Each book of Brass Leaf contains 25 sheets of Leaves 5-1/2" ..
Variegated Metal Leaf-Bubble GumBuy Variegated Metal Leaf-Bubble Gum for Sale here. 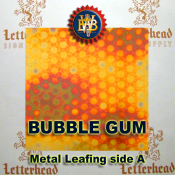 Each book of Brass Leaf contains 25 sheets of Leaves 5-1/2" x 5-1/..
Variegated Metal Leaf-Bubble Gum 20 Book PackBuy Variegated Metal Leaf-Bubble Gum 20 Book Pack for Sale here. 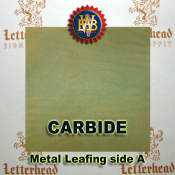 Each book of Brass Leaf contains 25 shee..
Variegated Metal Leaf-Carbide 1 bookBuy Variegated Metal Leaf-Carbide 1 book for Sale here. Each book of Brass Leaf contains 25 sheets of Leaves 5-1/2..
Variegated Metal Leaf-Carbide 20 Book PackBuy Variegated Metal Leaf-Carbide 20 Book Pack for Sale here. 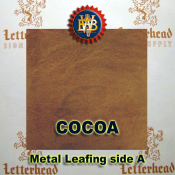 Each book of Brass Leaf contains 25 sheets of ..
Variegated Metal Leaf-Cocoa 20 Book PackBuy Variegated Metal Leaf-Cocoa 20 Book Pack for Sale here. 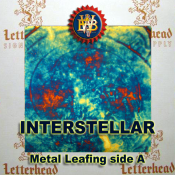 Each book of Brass Leaf contains 25 sheets of Leav..
Variegated Metal Leaf-Cocoa bookBuy Variegated Metal Leaf-Cocoa book for Sale here. Each book of Brass Leaf contains 25 sheets of Leaves 5-1/2" x 5-1/..